METROPOLISからオーディオ1 is the soundtrack to an imaginary cyberpunk anime in which our hero arrives in a utopian mega-city of 20XX. The only album by ニューシティ2 3 is a highly cinematic exploration of Anywhere, Japan that thrives in tension; short of vapornoise, this is one of the darkest releases in the TKX Vault discography – and that’s saying something. The album encapsulates an apprehensive atmosphere and utilizes clever hiss and spontaneous clicks to sound aged but not excessively so. Tracks are heavily dissonant (e.g. “DEATH IN THE STREET”) with occasional breather episodes (e.g. “ALONE TOGETHER”). The tracks’ titles help to expound upon METROPOLISからオーディオ‘s narrative of a faux-utopian environment (e.g. “WELCOME TO METROPOLIS” and “ALONE TOGETHER”). The songs themselves become progressively darker and contorted, starting with the power-tool-esque triad on “PLUGGED IN” that recalls Portishead’s “Machine Gun” on Third, demonstrating the hero’s discovery that urban paradise isn’t so pretty under the lights and sounds. 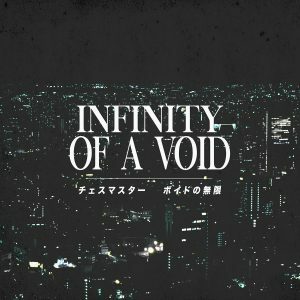 As a whole, the album is a mix of outrun and dreampunk, utilizing the emotive yet bleak urbane milieu of the former that is qualified by the latter’s surreal ambiance. “HELL CITY” is the first glimpse of the titular metropolis, its driving beat wonderfully setting up the album’s faux-utopian setting. “SKY RAIL TRIPPING” is one of the lightest tracks in the album; it brings to mind staring out over the city from the top of a building. “ESCAPE” is as heart-pounding as its name suggests despite its eighty-one second length; but it’s nothing compared to the malefic “THE CITY NEVER ENDS,” the credit song that suggests the story isn’t over yet.5 Overall, METROPOLISからオーディオ is an intense but excellent soundtrack album that rewards engaged listens, with a vulgarity that’s a part of its dark charm. Put it on and embrace the existential dread. 4My money is on HKE. I recognize that synthesizer effect on “DEATH IN THE STREET.” You can’t fool me! 5I WANT TO GET OFF MR. METROPOLIS WILD RIDE.